Mobile crowd sensing is an innovative paradigm which leverages the crowd, i.e., a large group of people with their mobile devices, to sense various information in the physical world. With the help of sensed information, many tasks can be fulfilled in an efficient manner, such as environment monitoring, traffic prediction, and indoor localization. Task and participant matching is an important issue in mobile crowd sensing, because it determines the quality and efficiency of a mobile crowd sensing task. Hence, numerous matching strategies have been proposed in recent research work. This survey aims to provide an up-to-date view on this topic. We propose a research framework for the matching problem in this paper, including participant model, task model, and solution design. The participant model is made up of three kinds of participant characters, i.e., attributes, requirements, and supplements. The task models are separated according to application backgrounds and objective functions. Offline and online solutions in recent literatures are both discussed. Some open issues are introduced, including matching strategy for heterogeneous tasks, context-aware matching, online strategy, and leveraging historical data to finish new tasks. The online version of this article (doi: https://doi.org/10.1007/s11390-018-1855-y) contains supplementary material, which is available to authorized users. Zhang X L, Yang Z, Liu Y H, Tang S H. On reliable task assignment for spatial crowdsourcing. IEEE Trans. 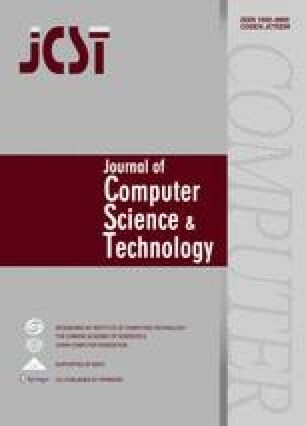 Emerging Topics in Computing (Early Access), 2017. DOI: https://doi.org/10.1109/TETC.2016.2614383.